Do I Need a Digital Signal Processor? 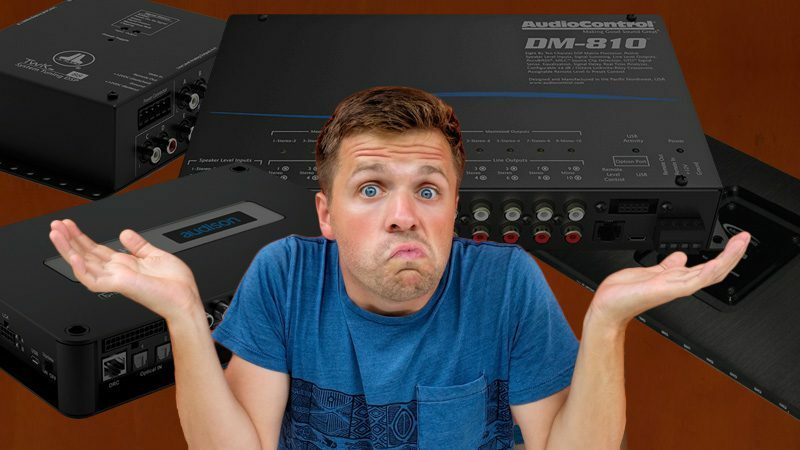 You Are Here: The Audio Garage » ARTICLES » Do I Need a Digital Signal Processor? Signal processing is nothing new to car audio. In the ’80s we had stand-alone equalizers, crossovers and even phase-shifting devices — all designed to help your installer make your car audio system sound better. Lately, the focus in audio signal processing has shifted from analog to the digital domain. There are now dozens of stand-alone digital signal processors available and even more amplifiers with integrated DSP technology. Let’s take a look at why you may want to include or add a digital signal processor to your audio system. What Does a DSP Do? In a nutshell, a DSP uses a microcontroller that is designed specifically to manipulate audio signals in the digital domain. 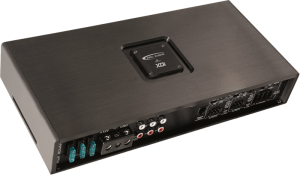 Pretty much all of the DSP devices on the market include crossovers, equalizers and signal delay features that we can use to optimize the performance of your sound system. How Do I Know if I Need a DSP? If you have an amplifier in your car audio system, then your stereo can benefit from a digital signal processor. All cars, trucks, SUVs, motorcycles, boats and even ATVs have reflections and resonances that change the sound we hear from the speakers. Listening to a speaker in a showroom is a very different experience from hearing that same speaker in a car or truck. Why? The acoustics of the environment are different. At the simplest level, a DSP can be considered a glorified yet extremely precise tone control. 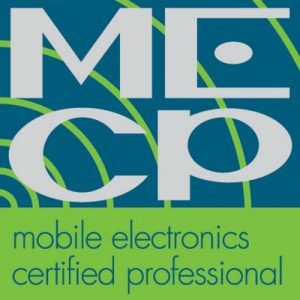 When you combine the features of a processor with measurements from a real-time analyzer, a properly trained technician can dramatically improve the tonal balance and accuracy of your audio system. 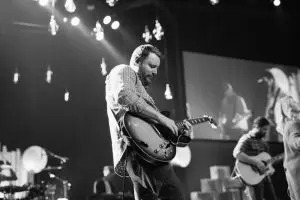 Vocals and instruments will sound more as though you are in the presence of a live performance as opposed to listening to a recording. Expert technicians can use stereo equalization to improve the staging and imaging characteristics of your sound system, helping to increase the realism of the listening experience further. A 5 channel amplifier can power an entire active system. No single speaker can accurately cover the entire audible frequency range and produce adequate output to create an enjoyable listening experience. 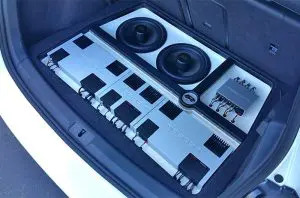 As such, car audio systems are made up of multiple speakers, each designed to operate within a specific range of frequencies. Tweeters handle high-frequency information, typically above 3kHz. Midrange drivers handle the majority of vocals and operate between 100Hz and 3kHz. Woofers and subwoofers cover low-frequency information below 100Hz. The suitability of a driver for a specific frequency range depends on its size and design. When we design an audio system, ideally we can dedicate an amplifier channel to each speaker. In the three-way system above, we could use a five- or six-channel amplifier to power the woofer(s), midrange speakers and tweeters. The crossover functions built into a DSP handle separating the audio signal into frequency bands that are appropriate for each of those speakers. Let’s continue with our three-way system example. In many systems, the tweeters are mounted at the top of the door, in the sail panel, in the dash or on the A-pillar. Midrange drivers in a system like that are typically 6.5 inches in diameter and are installed in the factory door location. Finally, woofers typically require an enclosure and are mounted in the trunk, cargo area or under the rear seat of a pickup truck. The distance between the listener and each speaker is different, as is the difference between the left and right speakers. These pathlength differences result in us hearing the closest speaker first, which makes our minds think that that is the source of the majority of what we are hearing. The signal delay capabilities of a DSP allow the technician who is tuning the system to delay the signal going to the closest speakers, so that sound from all speakers arrives at the listening position simultaneously. 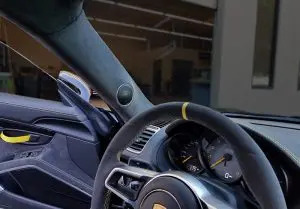 When executed properly, the music in the vehicle will appear to come from a space between the speakers, rather than from the speakers themselves. If your speakers are installed in optimal locations, that virtual soundstage should appear to span the width of the windshield and place each performer and instrument accurately within this soundstage. What Else Can a DSP Do? Many DSPs offer controllers that control the volume levels and can switch presets. Most signal processors on the market include the ability to store multiple system configurations. 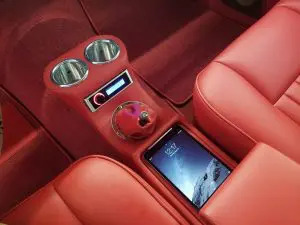 If you want a tune for a single-seat listening position, then another for when you have friends in your vehicle, the tuning technician can create those. If you have a convertible, you may want a separate audio system configuration for use when the top is down. Many processors have multiple inputs, and many include Bluetooth streaming options as an additional audio source. If you have a factory-installed source unit but want the option to stream music from a media player or smartphone, your installer can configure the system with multiple presets, each with a dedicated signal source. Are Digital Signal Processors Expensive? Well, yes and no. 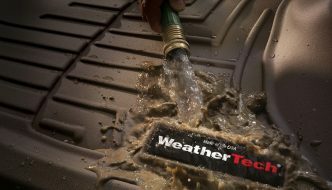 Good quality processors start around $400 plus installation and require at least an hour to configure in most vehicles. If you have a complex multi-channel system, you may need a DSP with more input and output channels and additional time to configure the system in your vehicle. Regarding improvements to an audio system, investing $600 to $1,000 into a processor will yield performance gains that far exceed a similar investment in better speakers, amplifiers or subwoofers. 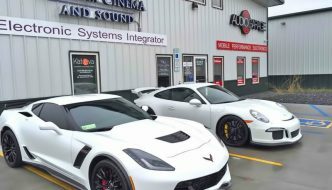 If you already have a great audio system, adding a DSP and having the system tuned by a professional will improve every aspect of its performance. 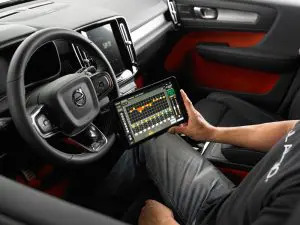 If you are planning an audio system upgrade or you already have a system in your vehicle, drop by your nearest specialist mobile enhancement retailer and ask if they have a digital signal processor on display or in a demo vehicle that you can audition. 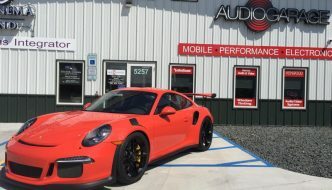 Some shops will even have presets configured to demonstrate how each step of the tuning process will improve the performance of your sound system. Once you hear what a DSP can do, it’s hard not to want to buy one!